VOLUNTEER POLICE CADETS (VPC) were blowing hot when they joined Hackney police in an anti-theft initiative in genteel Clissold Park, Stoke Newington N16 9HJ. They smoked out a large shisha, a hookah-style set that had been dumped or hidden in bushes. Detective Constable Kevin Ives, of Stoke Newington Station, told Loving Dalston that the shisha looked “quite expensive”. Cadets were searching the entire park for stolen goods that may have been abandoned in secluded areas by thieves. Another item also believed to have been discarded after a burglary was found. The VPC is a uniformed voluntary youth organisation open to 13 to 18-year-old Londoners. The cadets in Clissold Park were also identifying vulnerable vehicles around the park and leaving crime-prevention packs on the windscreens. 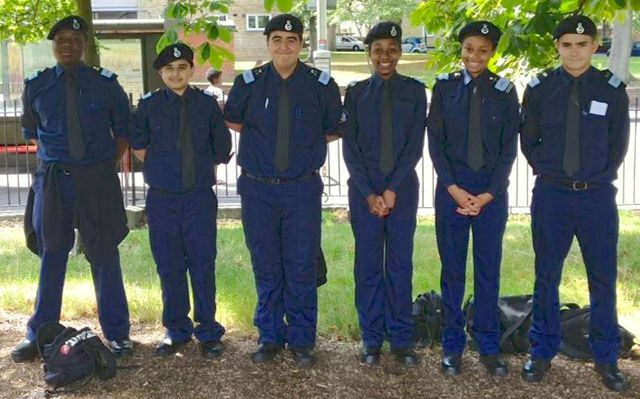 Hackney has one of the best-attended VPC forces: about 100 cadets are on the books. Many cadets were with their families celebrating the end of the Ramadan Muslim fasting period. The cadets and their leaders are now on camp in Powys, Cymru. So helping to solve crime does pay. * If you have information on items left in Clissold Park, phone Stoke Newington Police station’s non-emergency number, 101, or textphone 18001 101.